The underground metal landscape is a rocky and striated one, full of sub-sections and micro-scenes, so it’s hard to make any sweeping generalizations about it. But here’s one: Over the last 20 years or so, underground metal as a whole has become less and less hospitable to any concept of metal, which makes the Miami band Torche a total outlier. Among their scuzz-rocking peers, Torche are the rare band willing to release an EP of Guided By Voices covers, or to claim Superchunk as influences. Their 2008 album Meanderthal is beloved in extreme-metal circles, and it’s a weird one. It’s an experimental album, but the experiments don’t have anything to do with whiplash time-changes or from-the-gut roars. Those things are there, but they’re expected. What sets Meanderthal apart, its true radical qualities, are its big, gummy meat-and-potatoes ’90s indie-heartland melodies and hooks. And for Harmonicraft, their first proper album since, Torche are pounding that idea of melody even harder, doing their best to show us a parallel universe where bands still wrote big, loud, catchy songs that could conceivably pack arenas. It’s the album that Foo Fighters might make if Foo Fighters were still remotely capable of making a great album. From what I’ve seen thus far, the critical reception for Harmonicraft has been a resounding “meh.” In Pitchfork, my dude Grayson Currin — a writer whose taste in metal usually dovetails nicely with my own — writes that “it’s surprising to hear just how codified and predictable Torche sound at this point.” And it’s true that the band’s sound doesn’t lurch wildly in every direction the way it once did. To me, though, that’s a strength, and Harmonicraft strikes me as every bit the equal of Meanderthal. 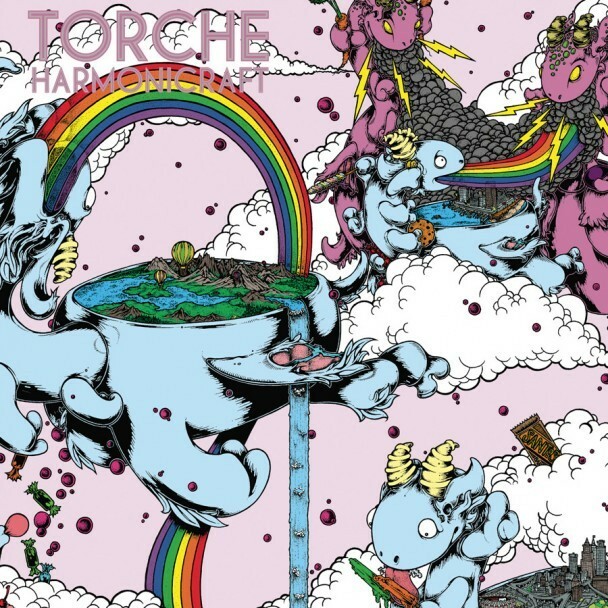 Torche aren’t going nuts with the musical ideas anymore because they’ve hit on one that works. They’ve married their unstoppable riffage, which somehow sounds both thunderously elephantine and liquidly serpentine, to titanic yelling-at-the-cheap-seats choruses, and that specific combination punches me in the heart every time. Even an instrumental song, like the title track here, pushes itself with a furious melodic drive that no other band in metal is attempting right now. And even though the album sticks with a single sound throughout, it’s not like it gets boring; that sound leaves plenty of room to roam. Seven-minute closer “Looking On,” works as stretched-out stoner-rock, leaving tons of space in between its booms and moving through multiple movements but making sure it all builds to a roaring, cathartic climax. “Walk It Off” is a 96-second rager that never lets up but still has some Cheap Trick in its DNA. “In Pieces,” another instrumental, is ZZ Top by way of Corrosion Of Conformity. “Snakes Are Charmed” reaches skyward like Hüsker Dü but still sneaks in some Angus Young-style one-hand soloing. And then there’s “Kicking,” the album’s furious bulldozer of a leadoff track. Every second of “Kicking” is glorious, and its virtues are the album’s virtues in miniature. Its riffs and hooks are both huge, and they both push each other toward some perfect imaginary place where you’re wheeling down a deserted highway on an 80-degree day, going 95 with your head sticking out the sunroof. It’s great. This album is great. Harmonicraft is out today on Volcom. Stream it at Spin. • Jack White’s long awaited, thoroughly pro solo debut Blunderbuss. • Death Grips’ punk-rap cacophony The Money Store. • The Flaming Lips’ collaborative freakout-party The Flaming Lips And Heavy Fwends. • Suckers’ psych-pop sophomore effort Candy Salad. • Ty Segall and White Fence’s collaborative fuzz-garage LP Hair. • The Dandy Warhols’ reliably psychedelic This Machine. 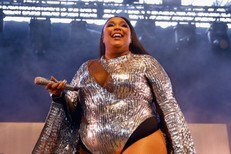 • Actress’s post-techno burble R.I.P. • James Blackshaw’s steel-string ramble Love Is The Plan, The Plan Is Death.